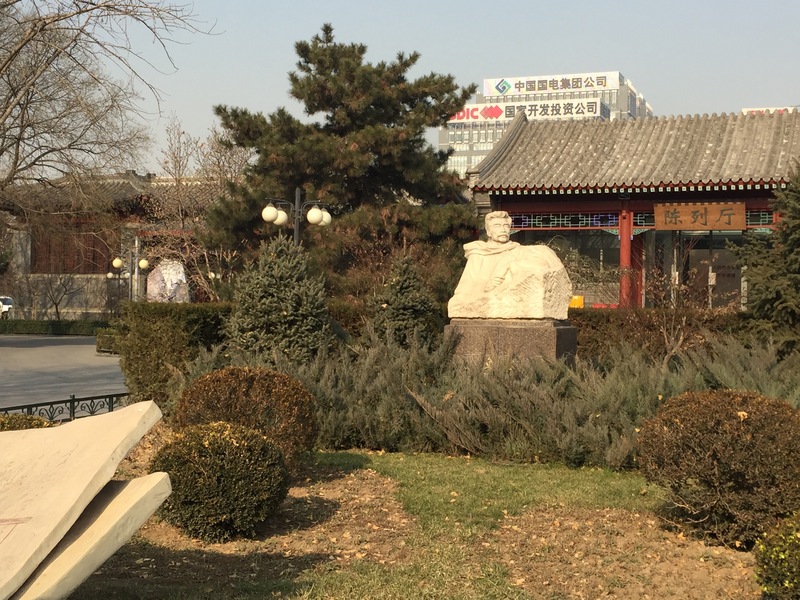 During my last visit to Beijing, in November/December 2016, I set off one Saturday morning from my hotel at Chongwenmen (about one mile southeast of the Forbidden City) to visit the Lu Xun Museum in west central Beijing. Though not widely known outside China (at least not to me before I started studying Chinese), Lu Xun was China’s most famous 20th century writer. He was also a professor at Beijing University and prominent in Chinese politics during the turbulent first half of the 20th century. It was a bright sunny day, cold (-2C) but dry, an excellent day for walking in Beijing provided you wore hat and gloves. I first walked up to Dongdan subway station from my hotel and took the Batong (No 1) Line four stops west to Xidan station. 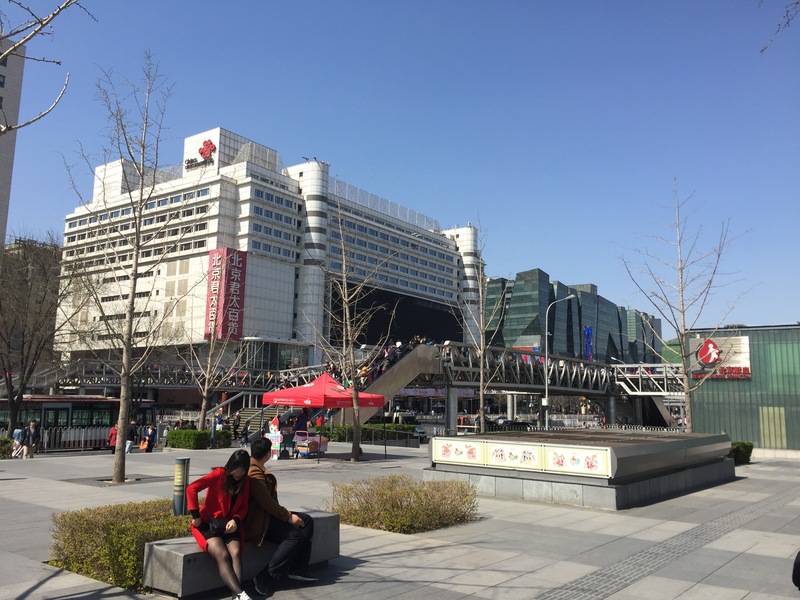 Xidan is about one mile west of the Forbidden City and a major shopping area with a number of large shopping malls and many individual shops including Apple. I set off north along Xidan North Street, a busy road lined with one or two storey specialty shops and Saturday shoppers strolling about. 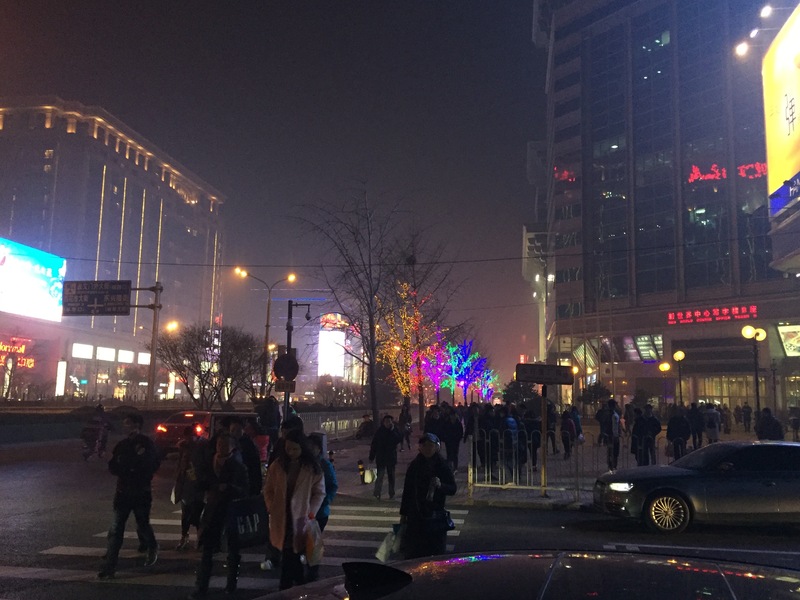 A prosperous area, though not quite the Bond Street of Beijing. 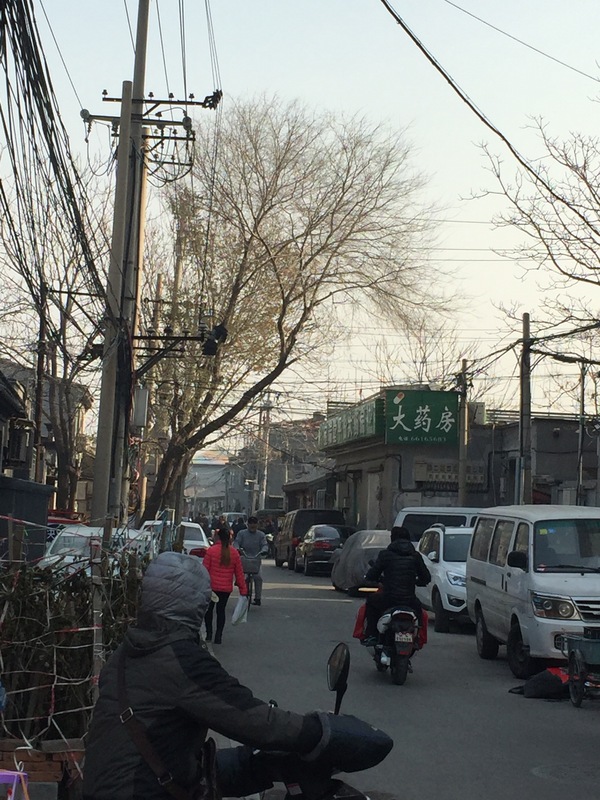 A few blocks north the road becomes more residential and there are entrances to hutong neighbourhoods to the east – the Tangzi Hutong, the Donghuali Hutong, the Lingjing Hutong and so on. 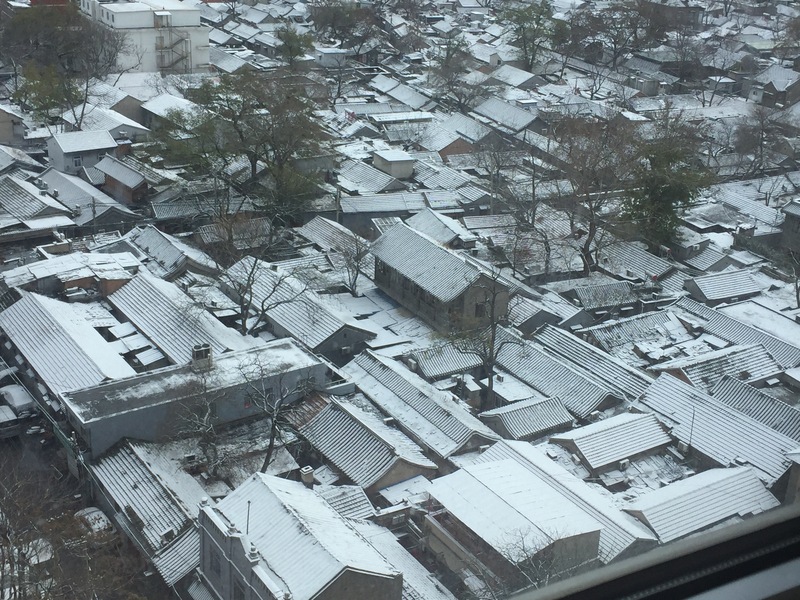 Hutongs are traditional style Beijing residential neighbourhoods, in which many Beijing residents still live. They normally consist of a series of major and minor lanes, all lined with one or two storey courtyard houses (many of which are split into multiple dwellings). There are many small shops and restaurants in the major lanes, which are normally wide enough to accommodate cars as well. The small lanes are not wide enough for cards. Most residents though get about on bicycles and three wheelers of various kinds. The hutongs I have visited are far from poor – the lanes are clean and most houses have air conditioning units for the extreme summer heat. It appears many hutong houses do not have private toilets, as there are a surprising number of public toilets (Beijing generally is well supplied with public toilets, which are generally clean and modern though the open cubicles take some getting used to). 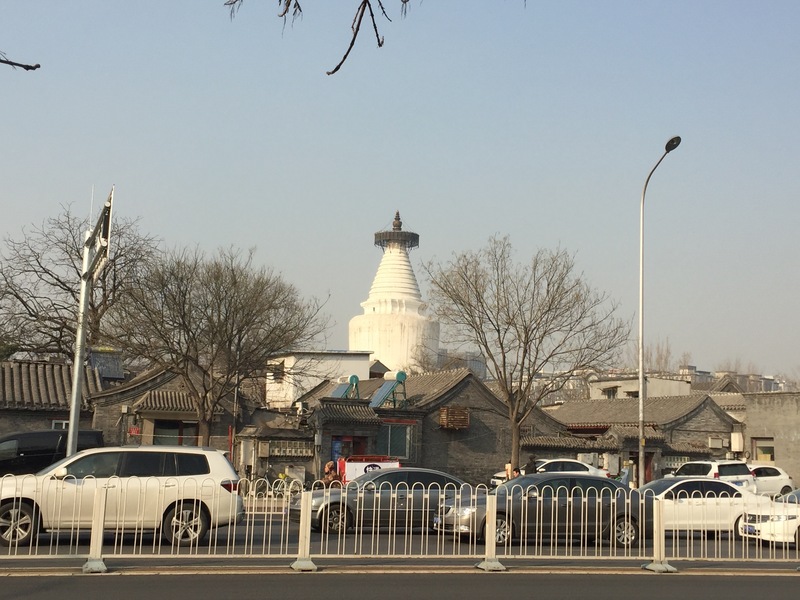 I carried on walking up Dongdan North Street past the Lingjing Hutong subway station and finally to the junction with Fuchengmen Inner Street, where I turned left in the direction of the Lu Xun Museum. I passed the Chinese Geology Museum on the left and the Lidai Diwang Miao (Successive Emperors’ Temple) on the right, making mental notes to visit both in the future. The buildings along Fuchengmen Inner Street on both sides were all very old but in excellent condition, one storey dark grey stone buildings in a style of architecture of which I do not yet know the name (I call it ‘Old Beijing’ for now). I was increasingly on the lookout for signs to the Lu Xun Museum, as I appeared to be closing in on the location I had identified on my map. I was using a quite detailed paper Chinese map of Beijing which I was able to read, but my experience of Beijing is that the closer you get to your destination the more difficult it becomes to identify it on the ground (unless you are visiting somewhere obvious like Tiananmen). Eventually I asked a passerby if he could direct me to the Museum and he told me to carry on and turn right. I did that and started walking north up Zhaodengyu Road, a wide road with three or four lanes of traffic on each side and a central reservation. After a false turn right into Xisibeitou Lane, where I was told by a local resident that I was on the wrong side of Zhaodengyu Road for the Museum, I found myself on the right trail at last. I then crossed Zhaodengyu Road and entered the Datiaoye Hutong. The Datiaoye Hutong turned out to be very large, with many large and small lanes. There were plenty of pedestrians visiting the local shops and cyclists and three wheelers driving about. A busy but also relaxed scene, very different from a typical residential neighbourhood in the UK. I kept thinking that many people in London would love to visit such a place, particularly young people, but there was not a single foreigner about (apart from me of course – being the only foreigner has been the norm for me in many of the places I have visited in China). 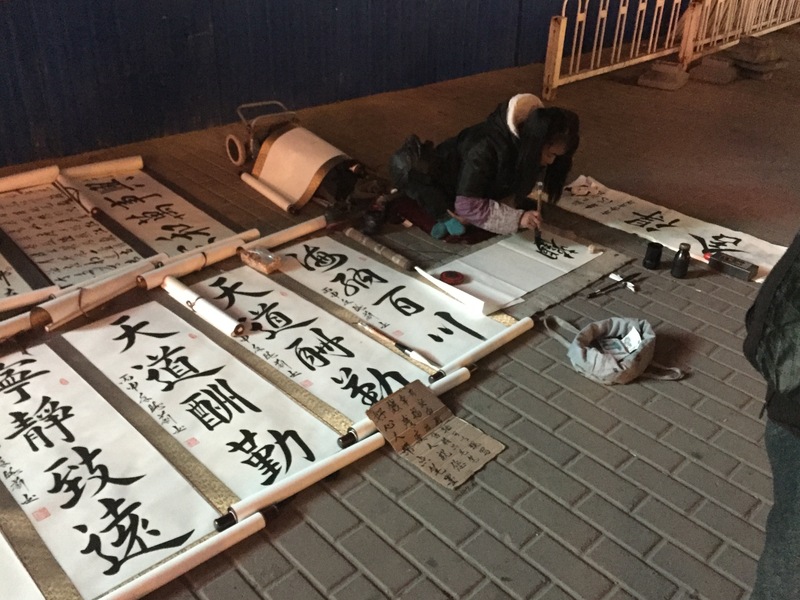 I continued to ask passersby for directions, to make sure I had not lost my way and I finally found myself standing in front of the Lu Xun Museum. The Museum consists of several buildings arranged around a courtyard, with a small bookshop in one corner. 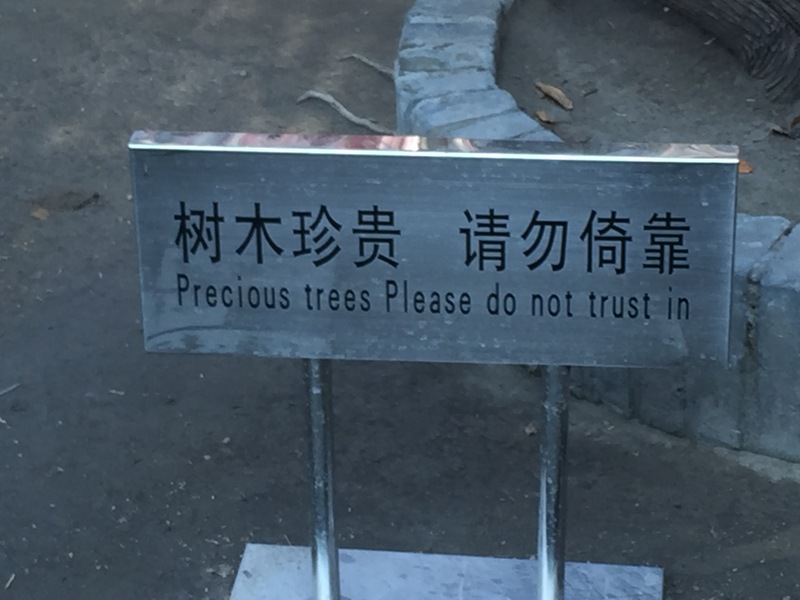 There is a statue of Lu Xun on a patch of green inside the entrance, plus a few trees with a mis-translated sign below warning visitors not to lean up against them (see photo below). The content of the Lu Xun Museum was in fact disappointing, as there were only a few pieces of furniture inside the buildings (which you could view through the windows, but not go inside) and little else in the way of exhibits. 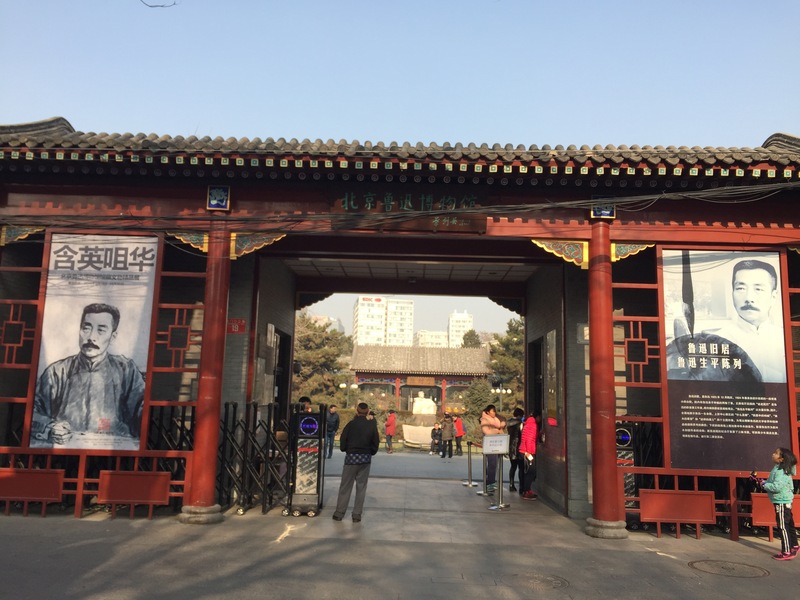 This was quite different from other museums I have visited in Beijing devoted to cultural figures, like the homes of Lao She (the author of ‘The Rickshaw Boy’) and Li Dazhao (one of the founders of the Communist Party and like Lu Xun also a professor at Beijing University). Those museums contain many exhibits and historical photographs of their subjects and people they knew and worked with (or did politics with). The bookshop turned out to be more worthwhile. It stocked up to date publications of Lu Xun’s many works and a number of contemporary biographies. There was also a large case of second hand publications, some quite old. On leaving the Hutong I turned right and carried on down Fuchengmen Street to the Fuchengmen subway station, passing several food shops on the way. There was a long queue of people outside one shop, who appeared to have come for a timed sale of dumplings (Beijingers’ favourite food). From there I made my way back to Chongwenmen. All in all a walk of around six miles. While the Lu Xun Museum was disappointing, I discovered a new neighbourhood of Beijing (for me) and got more experience of finding my way about the hutongs. It will be easier to find my way around in future as my mobile company has now started to make data available for travellers to China at reasonable prices. The Chinese equivalent of Google Maps, Baidu Daitu, resolves down to individual lanes in the hutongs, which would have saved a lot of trouble on this particular walk. On the other hand I would not have had so many opportunities to inflict my poor Chinese tones on unsuspecting local residents. By the time I arrived back at Chongwenmen the air had turned grey and misty. I checked the air quality on my phone in the hotel and found that the PM2.5 level was 250 (‘Very unhealthy’). By the evening of that day it had reached 512 (‘Hazardous’). I went out to a nearby restaurant in the evening, through the mist, and noticed the air had a slightly burnt smell to it. The streets around Chongwenmen were nonetheless very busy and only a minority of people were wearing masks.